It feels great at the end of a workday to know you\’ve made progress on a mounting to-do list, resolved a persistent problem, dealt with a difficult challenge, or accomplished an important objective. Yet, too often we get to the end of a day and haven\’t felt feelings of satisfaction, accomplishment, or progress at work, at least not as much as we\’d like. Instead, frustration, bureaucracy, and unresponsiveness creep in to thwart our well-being. The days when frustration rules are difficult progress making days. The person you\’ve been waiting to get an answer from doesn\’t respond, yet again; maneuvering the bureaucratic maze to find the right person feels like “running the gauntlet”; approval of the last project element is stuck in organizational politics; or the quick input you need from another department gets pushed aside by “more important” priorities. But people who are winning at working know how to get results despite these work-hurdles. Whether it\’s finishing an important task sidetracked by an unresponsive coworker, or dealing with company politics and persistent run-arounds, people who are winning at working have acquired work-hurdle agility. 1. They don\’t take it personally. They understand that work-hurdles are part of working, so they\’re prepared for them. People who are winning at working know maneuvering hurdles is easiest when they have good work relationships, and they do. They focus on people as individuals. They build their relationships by noticing, respecting, and authentically appreciating someone else\’s contribution to the whole. Successful relationships require effort. People who are winning at working put effort into others, building their relationships on trust. It\’s these relationships that help them clear hurdles when others can\’t. 2. They operate with dependable company politics. For people who are winning at working, their actions demonstrate integrity, ethics, and best-self-behaviors. Operating with a well-intentioned style, they\’re people others know they can depend on. These are the people who have an unspoken commitment to the bigger team, the bigger initiative, the bigger community, demonstrated by their consistent beyond self-interest actions. It\’s that orientation that lowers hurdles and aligns others to want to help boost them over, as needed. People help people who help them. And they\’re always helping others. 3. They don\’t give up. The animated short film, The Fantastic Flying Books of Mr. Morris Lessmore, won a 2012 Oscar. When asked what the biggest challenge was in making the film, one of the co-winners answered, “Not giving up.” It\’s the same at work. People who are winning at working and getting great results don\’t achieve them because they give up when the hurdles get higher. It\’s said that hurdle jumping is the most technically difficult form of running. It\’s often the most difficult form of work, too. People who are winning at working understand that in order to get great results, they must practice work-hurdle jumping by enhancing their relationship skills and increasing their persistence. Sure, they get discouraged with the unresponsive coworker, bureaucratic silos, and dismissed priorities, too. But their confidence strengthens each time they get results despite the hurdles. In the words of author Tobias Wolff, “We are made to persist. That\’s how we find out who we are.” People who are winning at working know who they are. They\’re people who get results, the right way. Award winning author of Hitting Your Stride. 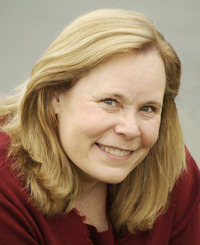 Nationally syndicated radio host of “Work Matters with Nan Russell.” Nan Russell spent twenty years in management, including as a QVC Vice President. Sign up to receive Nan\’s “Winning at Working” tips and insights at www.nanrussell.com; follow on twitter @nan_russell.Reprinted from nanrussell.com.